What madness! Everyone knows the story of Santa Claus. He’s a “jolly old elf” that lives at the North Pole with his wife, reindeer, and elfin labor force. Or maybe he’s Saint Nikolaos, a Christian saint that lived in Asia around the 4th century. Well, Santa is both of these things, but more than anything else, Santa Claus, the one that we know and love, is a New Yorker. 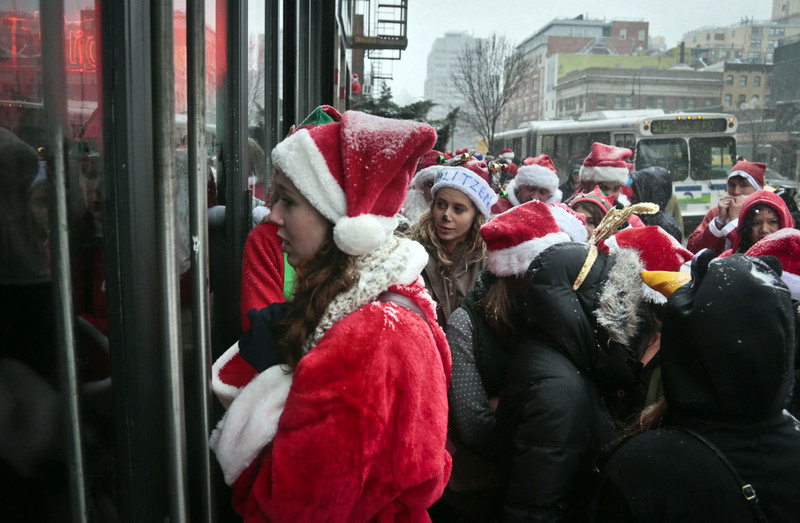 SantaCon is a New York tradition, fitting for Santa’s hometown. Yes, a New Yorker, born in the early 1800’s by a group of New Yorkers looking for a non-religious symbol to a holiday slowly gaining popularity: Christmas. Note: The primary source for this article is Gotham: A History of New York City to 1898, by Burrows & Wallace. For reasons involving our Puritan background, prejudice against Catholics, and the feeling that Christmas was an English custom to be avoided, Christmas was a very minor holiday in the American colonies and later, The United States. It was so minor that George Washington staged his famous night attack at Trenton on Dec 26th, crossing the Delaware River on Christmas night. Five Points, Manhattan. 1827. Obviously not a winter scene, but still awesome. The New Year’s custom was for the wealthy to exchange gifts and to call on their circle of friends, drinking cordials and snacking on sweets (not unlike modern Christmas get-togethers). However, as the city rapidly expanded, it became difficult to continue this tradition. A walk to a friend’s manor was once a few blocks, but now might be miles. A New York merchant named John Pintard felt that he had a solution: reviving an old winter holiday with a uniquely New York flavor. The holiday was to focus on family-oriented traditions, keeping alive what was dying out in New Year’s. 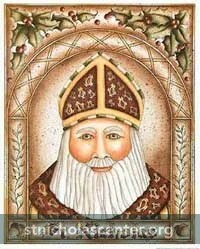 The holiday was December 6th, Saint Nicholas Day. St. Nicholas day seemed like the perfect alternative for New York. It was nearly a month before New Year’s, leaving plenty of room for that holiday. It was also firmly stitched into New York’s Dutch origins, a “simpler time” before the English came and ruined everything. When New York was New Amsterdam, the Dutch colonists celebrated the holiday, including a version of St. Nick known as Sinterklaas. Similar to our Santa, Sinterklaas was a jolly old man in red, with a long, white beard and red mitre. The author Washington Irving–today best known for his story The Legend of Sleepy Hollow–had already associated Saint Nicholas as the patron saint of New Amsterdam. It made sense, he was already the patron of sailors and merchants, the initial colonists of New Amsterdam. He was also the patron saint of children, which made him especially suited for the holiday’s intent. 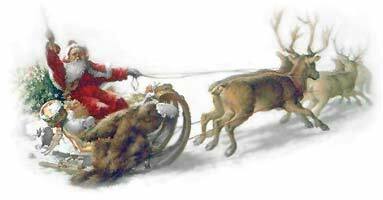 Irving wrote several fanciful stories about St. Nick, reimagining him parking his wagon on rooftops and sliding down chimneys to bring good children gifts. With Irving’s folksy tales building interest, Pintard held his revival of Saint Nicholas Day in 1810. After an initial surge of support, the campaign lost it’s momentum. Sinterklaas, however, grew in popularity. 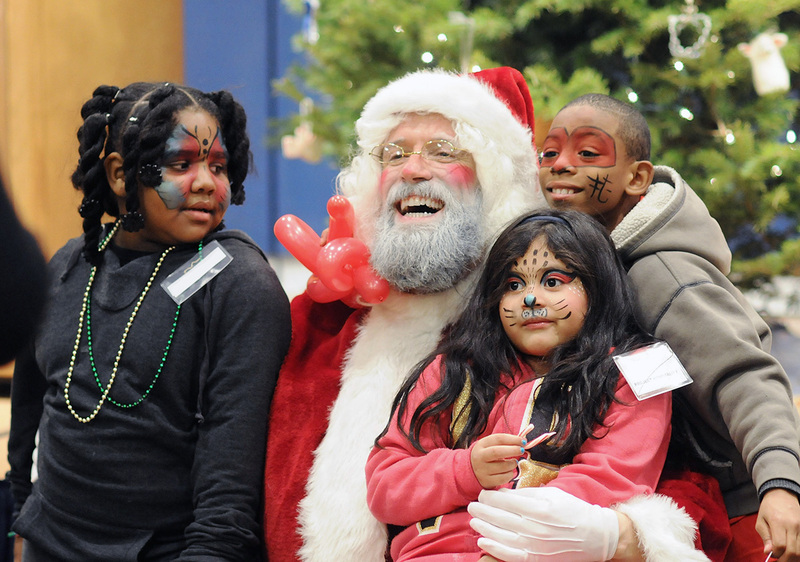 Now Anglicized to Santa Claus, he found his way into New York culture. While Pintard struggled with St. Nicholas Day, other wealthy New Yorkers focused on reviving Christmas. This generation’s populace wasn’t as adverse to English traditions as the American Revolution veterans. As Yankees from New England moved to New York, they brought English traditions such as the “Christmas log” and Christmas dinner and prayer. But again, it was Washington Irving that solidified Christmas in New York. After moving to England for a short time, Irving wrote The Sketch Book of Geoffrey Crayon, Gent. Not only did the book include the short stories Rip Van Winkle and The Legend of Sleepy Hollow, it contained many essays that idealized pastoral English life, including their Christmas celebrations. Christmas overwhelmed Saint Nicholas Day and was gaining fast on New Year’s. There was only one missing piece: Santa Claus. Ironically, it was a close friend of Pintard’s, Clement Clarke Moore, that brought it all together with one iconic poem. Most New Yorkers don’t have chimneys anymore. Does he get in through the heating vents? I think that we all know this poem (or maybe just the first two lines), but most people don’t realize its impact. “A Visit From Saint Nicholas,” its true title, solidified our image of Santa Claus and forever linked him with Christmas. Moore was a landholder (the location of his estate Chelsea is now the name of that neighborhood), president of Columbia College, and one of the founders of The General Theological Seminary in New York (the college is located in what was once his apple orchard). Moore wrote the poem in the winter of 1822 for his children. Strongly influenced by Irving’s previous stories about Saint Nicholas and his recent essays about Christmas in England, Moore took Irving’s musings and gave them rhyme, rhythm, and heart. A friend of Moore’s was so impressed with the poem that he sent it to an upstate newspaper. Within years it was well known throughout the country. Incidentally, Moore didn’t admit that he wrote it until 1844, leading to some controversy to its authorship. Why was “Visit” so instrumental in Christmas’s rise to our most important of holidays? By focusing on a “a festival sacred to domestic enjoyments,” as one paper said, it eliminated the uncomfortable connections to religious, and specifically Catholic, dogma. It became an Family holiday, not a Christian one. Christmas has different meanings to different people. To some, it’s a time of religious devotion, midnight masses, and traditions brought over from other lands. To others, it has only the family-oriented aspects and is strictly a domestic holiday, similar to when it first became popular in America. Of course, times change, and the pendulum swings back. In the late 20th century popular opinion has tried to shift the focus back to religion, stepping back for the mass capitalism that grew from both the pleasure of giving gifts and the country’s wealth. However, the association with family love and domestic life is permanent. All thanks to a couple of Knickerbocker writers nostalgic for their Dutch and English heritages and a bearded saint in a red suit. 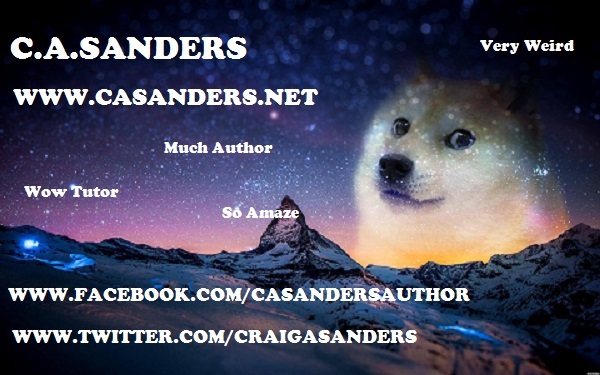 Are you a fan of historical fantasy? Check Book One of The Watchmage Chronicles, The Watchmage of Old New York. $0.99 at Amazon, Barnes & Noble, or wherever else fine books are sold. Book 2, Cold Iron, is also available for $2.99. I suggest you start with the first one. Forgive the change in formatting. WordPress gave me trouble with it. Really interesting – I hadn’t realized just how intentional the distancing of christmas from religion had been! Yeah, I was surprised too. It’s funny how things change.